Smart devices. We’ve all got them, and thankfully, they can run a multitude of Star Wars related apps. It can, however, be somewhat tedious to rake through the muck of the hundreds upon hundreds of Star Wars apps available in the different app stores... Plus, outside of the obvious big-name selections out there, what’s good and what’s best left untouched? Well, I’m hoping this review will answer these questions for you. At any rate, disclaimers aside, let’s get on to the list. I really like this app. 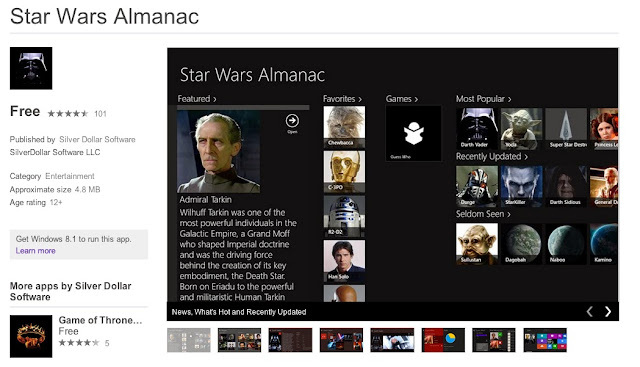 It’s a Windows-only exclusive (and may be the only Windows exclusive to make the list) but it’s a well-designed app that provides some good Star Wars information on the go. I haven’t used the app extensively yet, but when I have used it, I have been pleasantly surprised. While I like this app however, and the information it provides is invaluable to any Star Wars nerd, it’s exclusivity to Windows Phone makes it regrettably unavailable to pretty much everyone. For that reason, even giving it the number ten spot was a stretch (but I did anyways). Similar apps, like “Star Wars Alphabet,” (which is really just an almanac for kids if you think about it) is available for Windows Phone OS, and "Star Wars Creatures," an Almanac and sound board combination, which exists for Android, are some great alternatives to the Star Wars Almanac. Not as great in my opinion, but they are some other options to consider. Quiz Up is loads of fun. Granted it’s not really a “Star Wars,” app, but within the app it has a specific Star Wars section where you can compete against other people to test your knowledge of the Star Wars universe. Not only does this help you feel accomplished when you crush others with your Star Wars expertise, but it’s a load of fun and can even be challenging at times. However, while the enjoyability and difficulty of Quiz Up scored very high, the Star Wars-ness and availability brought it right back down to settle in at the number nine spot. A great alternative to Quiz Up is “Star Wars Trivia,” for Android. 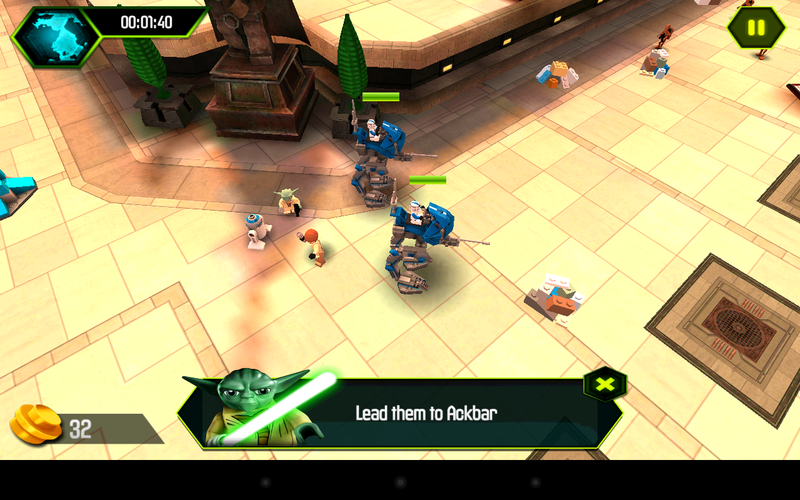 It is a fun, albeit simple, Star Wars trivia game for Android. 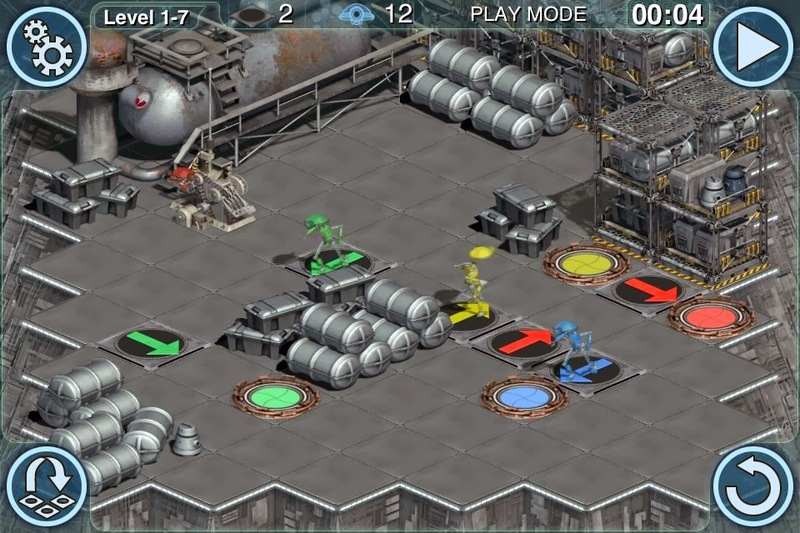 While enjoyable and challenging, Android exclusivity means that it didn't make the cut. While not the prettiest app around, Star Wars Message Sounds stays true to it’s word in bringing some serious Star Wars sound to your phone. Not only is it an awesome soundboard however, it can also be used to change a phone’s ringtones right there within the app! How handy! Everything from R2D2’s bleep’s for a text message tones, to a Darth Vader quote for a ringtone, you can find a wide array of various noises to tickle your fancy within this app (as well as many other similar apps). While Blackberry and iOS are lacking these sorts of apps, Windows and Android have numerous which all do the same function. A great asset to any aspiring Star Wars fan. This app is an app of many names and iterations. Seriously though, there are several different apps that all do the same thing on iOS, Blackberry OS, Android and Windows Phone OS. It’s easily the most universally available app on the list. That being said, the level of enjoyment you derive from this app is likely to be linked with number of times you’ve used it. First time it’s pretty cool, it makes sounds and maybe you even try to “duel,” with another smart-phone user. Second time, the novelty wears off. Third time you may be tempted to delete it, etc... Any Star Wars fan, however, should at least download one of these apps and use it once. It’s simply a must and as such, it makes the list. 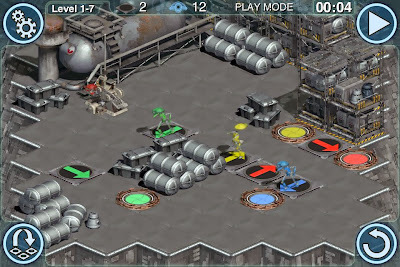 This is a Star Wars puzzle game that requires users place colored arrows to direct pit droids into colored holes. That really about sums it up. It can be difficult at times, but for the most part shouldn’t be overly taxing on anyone over the age of... let’s say, 10? Getting three stars on every level may prove more of a challenge however. Controls and graphics also give this app some bonus points, not to mention, the gameplay is really very conducive to a mobile device, since it favors pick-up-and-play mechanics... Alas, it is an iOS exclusive and loses a lot of points for that. Therefore, even though I really like it, I couldn’t give it any higher than 6th spot. Side note: For those who really want to play this game, you can find PC versions (the game was released on PC first in 1999) on eBay for a very reasonable price. You’ll need an optical drive and I’m not sure how they will run on a 64bit Windows 8.1 machine, but it may be worth a try. I’m not much of a fan of this game to be honest. It’s a card collecting app that I’ve devoted an entire 20 seconds (maybe 30) to. Truth be told, I probably haven’t given it as much time as I should to be reviewing it, but it’s just not a game I can see myself getting into. That being said, I have read other reviews of the game online. It seems to function similarly to other card-battling games available online, but it does “try to offer a new and compelling story,” (http://www.pocketgamer.co.uk/r/iPhone/Star+Wars%3A+Force+Collection/review.asp?c=53575). While maybe not as polished as some other mobile-phone enabled card battling games, it receives mostly positive reviews, and it’s available on both Android and iOS (arguably the two most important platforms for any app to survive/thrive). Furthermore, I know a lot of people are into games like this, so I had to give it credit where credit is due. Even though I’m not a fan, I think it’s number 5 in terms of ultimate Star Wars apps. I’m a big fan of this game. 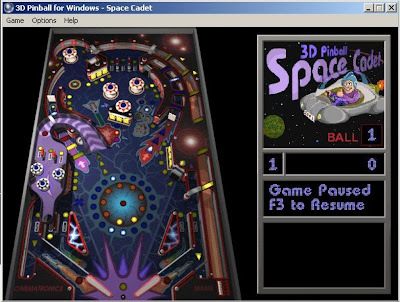 Sure, Pinball games aren’t for everyone, but I think everyone can probably remember 3D Pinball for Windows. That was a blast, wasn’t it? When I tried Star Wars Pinball for the first time the nostalgia blast was crazy great. The controls were a little... clunky at times, and the app itself costs a dollar (most other apps on this list are free) but all-in-all I think this app is a winner. 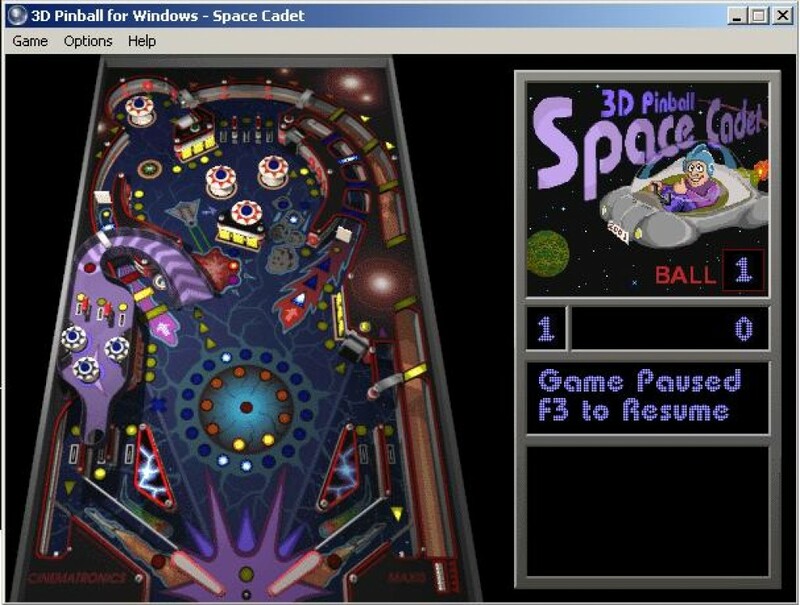 It was annoying that you had to pay to get more boards within the game itself, but I was able to overlook this and just enjoy the pure Star Wars pinball that was both challenging and fun to look at. I’m probably giving this app more credit than it’s due, but since it’s a simple to understand game that works well for casual gamers (unlike ones like Star Wars Force Collection, for example) I decided to give it the number 4 spot. Also, I should note that when I went looking for Star Wars Pinball version 1 I actually couldn’t find it on any app store, but I swear it exists. The second version wasn’t hard to find though. Lego has really carved a niche for themselves in coming up with fun and often humorous games that showcase their little Lego men in iconic roles such as Lord of the Rings, Batman and more. Star Wars is no exception of course. Lego Star Wars stands as out as one of the highest quality and totally free games on this list. While the story-line is, well, lacking in many ways, the gameplay is great fun and the fun graphics really make for an enjoyable and true-to-Star-Wars experience. Furthermore, while the app is available on iOS and Android, iOS has a second version that actually covers the entire saga (as in the story of the movies)! It looks just like the versions you can find on Xbox or Playstation. I imagine this edition will soon come to Android as well. Gameplay and graphics, combined with 100% on the Star Wars-ness scale easily earn this app the number three spot on this list. The only disadvantage to this game is that, as of yet, the complete saga is only available on iOS. That’s it really. Star Wars: Knights of the Old Republic isn’t just one of the best games on a mobile device, it’s one of the best games ever. I won’t delve into the story, but if you are a Star Wars fan and you’ve never played this game then you should be ashamed. Seriously. It’s that good. Staying true to the Star Wars name and franchise, this game takes you right into the Star Wars universe thousands of years before the movies transpire. With elements of Action, RPG and even puzzle-solving, this game will challenge you, entertain you, and definitely surprise you. While it is the most expensive app on the list, it is also easily the most impressive! Even this god of the gaming world comes with a couple of cons, however. First, it’s a little on the expensive side (though worth every penny). Second, the controls are a little... lackluster (though third-party controller support is likely to come in the future), and finally, it’s an iOS exclusive (though it may come to Android eventually UPDATE: It is now available on Android!). I can’t rave enough about this game though. A definite must-have for any Star Wars fan. Finally, we come to the last app on the list. I realize now that a lot of games have made the list, and I think that’s ok, because... Well I’m a gamer at heart and games are fun. Rounding out this list is one of the greatest mobile games available today: Star Wars Angry Birds. 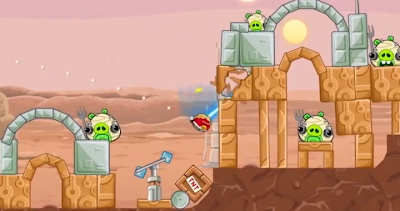 If you’ve never played Angry Birds before, then Star Wars Angry Birds may be the best way to get involved with the franchise. 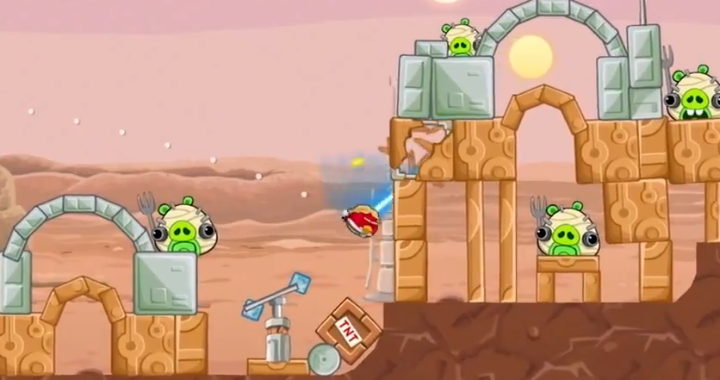 Sure, it’s a little ridiculous that they keep milking the angry bird’s cow with new versions of the exact same thing, but the Star Wars iteration is definitely worth your time. Not only is the gameplay great, but the Star Wars twist allows for some fun beyond what we’ve come to expect with Angry Birds. This app stays true to the franchise and provides some of the best pick-up-and-play fun you can get on a mobile device. That, combined with the widespread availability of this app, it’s difficulty, and its high level of enjoyment earns Star Wars Angry Birds the number one spot in my list of top ten apps for any Star Wars nerd... And yes, I own and have beat both versions 1 & 2. Well, that's my list and I hope you liked it! Did I miss your favorite Star Wars app? Please let me know in the comments below and thanks for reading! If I were to include this app, it would probably fit in at around the #4 or #5 spot. However, this game throws so many annoying notifications at me, and the Star Wars aspect really offers no unique differences over its "Tiny Hotel," predecessor, so I decided to exclude it from the list. Mostly because I'm so sick of the notifications. 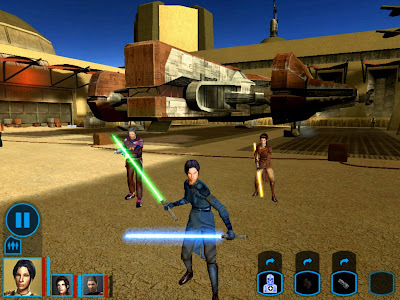 Pazaak, a game that many will recognize from Star Wars: Knights of the Old Republic, is also available as an app... Regrettably, it's only available for Blackberry OS as well as Android. That, combined with the fact that Pazaak really isn't that fun, means that it didn't quite make the cut.